It’s Las Vegas, the Wedding Capital of The World! People travel from all over the world to get married in Las Vegas. It’s a lively, fun, and exciting city. Some couples thrive on the Strip scene, while others are looking for a quieter, more affordable location to marry. The Beacon Center may be your best bet. As an hourly rental space, no one else in Las Vegas offers you so much for such a small price. Unless you are a notorious “high roller,” it’s highly unlikely that you will be able to get anything in Vegas for free. Or for that matter, at a discount. Las Vegas is the wedding capital of the world for more reasons than neon and casinos. One could argue the sheer number of places to hold your wedding and reception give it that distinction. 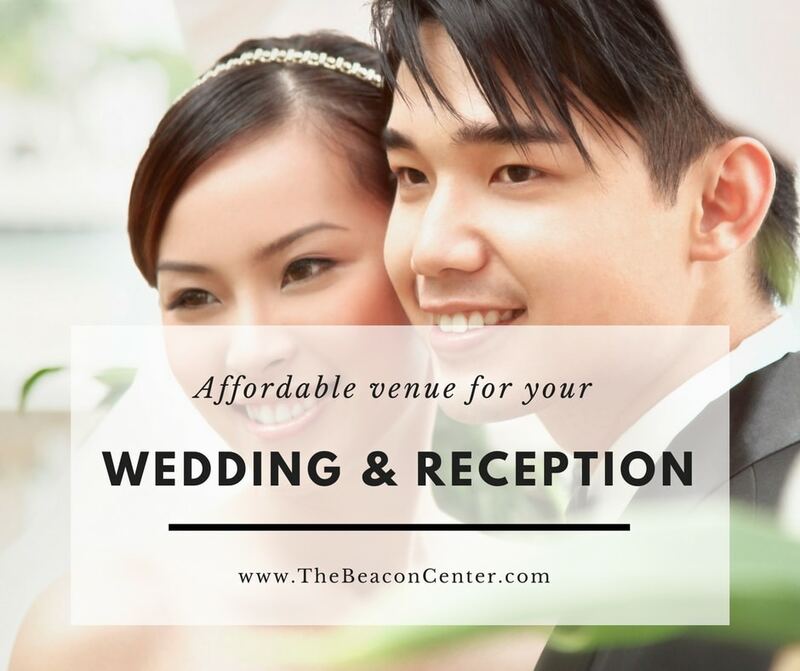 As a new addition to the list of great places for a Las Vegas wedding, The Beacon Center is ideal for the couple on a budget or someone seeking a quieter, off strip venue to tie the knot. Sounds great, where do I sign for my Las Vegas wedding? 50% down is needed to hold your date with the balance due in payments. Yes, we actually take payments, just to make your special day a little easier on the budget. You are welcome to bring your own food, cake, officiant, and photographer. Or you may prefer to contact our preferred vendors. They can provide personalized quotes directly to you based on your needs. Since opening The Beacon Center, we have hosted dozens of wedding celebrations. Let us put together a package that combines affordability, simplicity, and fun.